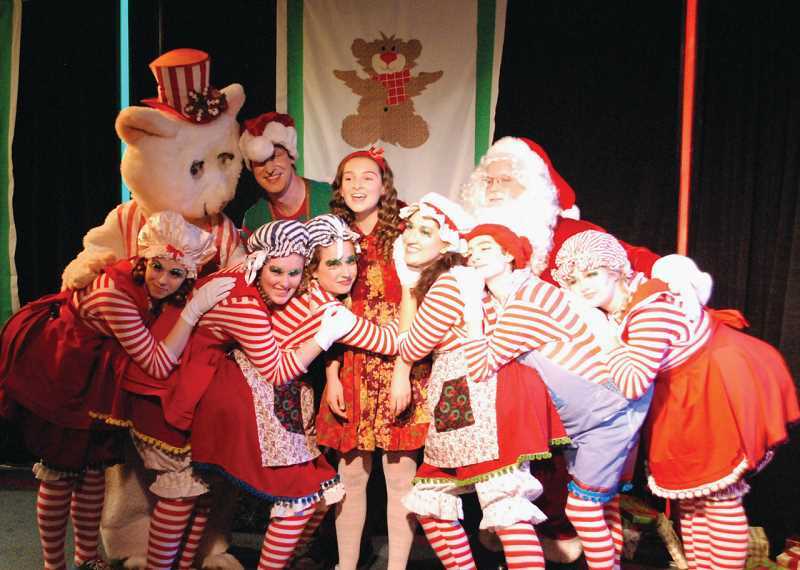 Add holiday cheer to your Christmas season by attending special theatrical events. Ebenezer Scrooge and The Grinch would have a horrible time if they lived in Lake Oswego or West Linn this time of year. With so much joy and holiday cheer in the air even the grumpiest of Scrooges will be cracking wide smiles. Lakewood Theatre Company — This is the final weekend for "Inherit the Wind" (through Dec. 9). The play is based on the famous Scopes "Monkey Trial" about a high school teacher's choice to teach evolution in the classroom, "Inherit the Wind" threatens learning and intellectual freedom in a dramatic courtroom retelling. ¦ "The Peppermint Bear Show: Who Needs Sneeds?" runs Saturday and Sunday morning at 9:30 and 11:30 a.m. through Dec. 23. Now in it's 27th year, audiences enjoy a continental breakfast 30 minutes prior to show time. The story: Santa's elves with help from the Peppermint Bear are rehearsing for their Christmas show when the evil Sneed brothers show up plotting to take the gifts before Santa's sleigh ride. Performers from area high schools include Gloria Howe, Maggie Kate Madziarczyk, Madison Morley, Kylie Zeman, Caleb Pinkterton-Biedeck, Connor Madziarczky, Jeff Zeman and Grady Penna. The show also features a special guest appearance by A Man in a Red Suit. Tickets are $12 for youth and $15 for adults. youth. Group discounts are available. Lakewood Theatre Company performs at Lakewood Center for the Arts, 368 S. State St., Lake Oswego. For tickets and more information call 503-635-3901 or visit lakewood-center.org. Rain Spark Gallery Holiday Market — This is the eighth year of this seasonal gallery, showing the works of 35 artists, 26 returning from last year and 9 new exhibiting artists. The gallery is open through Dec. 30 with receptions each Thursday from 5 to 7 p.m. featuring Tumwater Vineyard wines. The gallery is located in Lake View Village on A Avenue between Fleet Feet and Sur la Table. Visit rainsparkgallery.com. Arts Council of Lake Oswego — Holiday Market through Dec. 29 showcasing fine art, wood, ceramics, jewelry, metal, handmade gifts, ornaments, leather goods, textiles and accessories. Open Tuesday through Friday 10 a.m. to 6 p.m. and Saturday 10 a.m. to 2 p.m. at the Arts Council offices, 510 1st St., Lake Oswego. To learn more call 503-675-3738. Jesus Christ of Latter-Day Saints Portland Temple Visitors' Center concerts — Celebrate the Christmas season with free musical performances at 7 p.m. through Dec. 24 at the Visitors' Center, 13600 S.W. Kruse Oaks Blvd., Lake Oswego. Seating is limited and reserved seating is required. Call 503-431-3240 to reserve a seat. View the schedule at facebook.com/portlandvc for up-to-date performance information. Lighting of Maddax Woods — Take a magical walk down a lighted, accessible path through the woods to the viewing platform on the Willamette River. Start at 5785 River St., West Linn (from Hwy. 43 turn toward the river onto Burns St. to River St.). The walk is free and open daily from 4 to 9 p.m. through Dec. 31.